The 2017 University of Tampa Delegation to the Harvard National Model United Nations just returned from an exciting weekend in Boston. 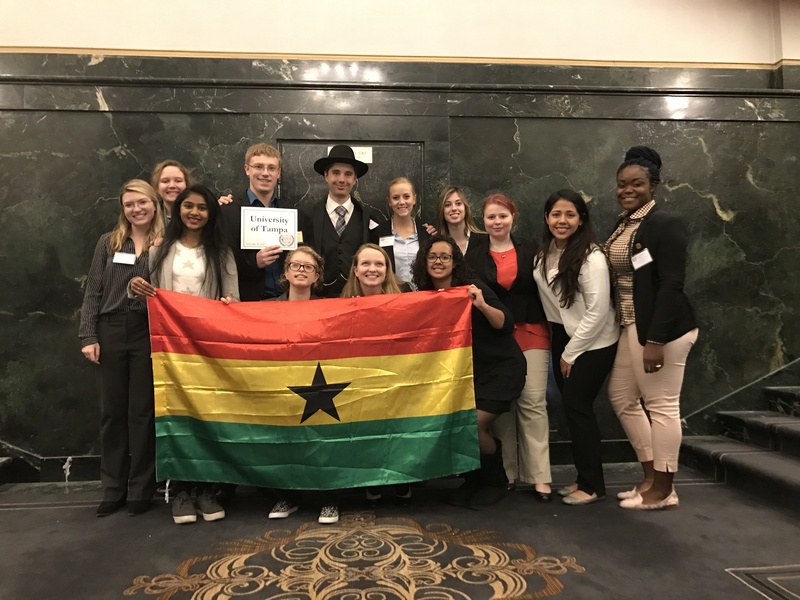 The students represented Ghana at the conference. The delegation was made up of the following students: Maite Ayala, Julia Boorse, Jennifer Campbell, Regina Cannon, Michael Hartman, Arden Igleheart, Brianna Jones, Juhi Kore, Madison Lawson, Lucy Sherman, Angelina Yearwood, Matthew Youngster, and Ioana Zanchi.